i was thinking, between the posts on the normal years by built to spill and the letting go by bonnie ‘prince’ billy, about a pattern in the collection that’s clearly emerging – internal generations, if you will. i’m 35 years old. most of the bands and artists i hold dear and closely identify with are either about that same age, or anywhere up to ten years older. their own music has shifted markedly over time, like most does, and in some cases signifies the shift from one age to the next. from what i can see, there are three ages. i’ve not felt fully engaged in new music for a while now. the real trigger for thinking about the three ages was the act of updating the catalogue in early may 2013 which prompted this whole exercise. it became clear as i added things to the list that i had stopped working on my own true sense of musical identity around the previous time i updated the catalogue, which was in 2006. so here follows a fairly quick and dirty analysis of what possibly defines the three ages, musically as well as personally. i didn’t start on my own musical path, really, until i was 15 and in year 11 in 1994. i had been to see rem with my sister and her friend in early 1995 at the adelaide entertainment centre. i wasn’t dying to be there, though it was entertaining. i even remember the support acts: grant lee buffalo and local australian band died pretty. but it was a year earlier that my eyes were opening to bands that weren’t huge stadium acts, and that equally weren’t legacies of my parents’ era. the 1980s had well and truly passed, i wanted to know more of what was going on out there. i wanted to work out what i liked. the first album i bought of my own choice and with my ‘own’ money was hi fi way by you am i, released in early 1995. that’s the cornerstone. this came about because my friend, sarah, was far cooler than me and had a subscription to rolling stone magazine. during chemistry, we would flick through – she even let me deface and/or cut pictures out. at the time, australian bands were numerous, prolific and well known. the generation of fans loved what their peers in the music world were doing. september 1995 was the first time we tried to get into an 18+ show (without success). 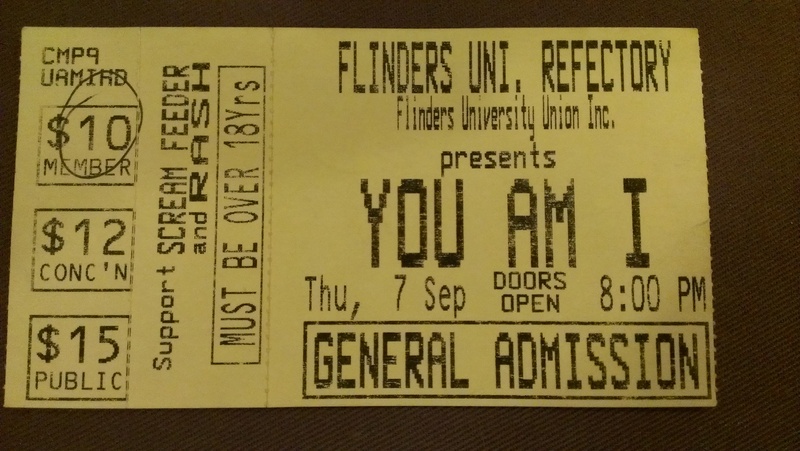 i was seven months away from being legal age, sarah was over a year off, and my sister bought us tickets for the you am i gig using her flinders university student card. cheap, yes. additional hurdle to entry, unfortunately. the closest we got was having timmy and rusty walk past us outside after we had been bounced. i remember being additionally disappointed because andy was the one i wanted to see (my first music crush!). we both ended up studying there only months later, but it wouldn’t be until marginally later that we would finally see them live. thus, many pictures of you am i were occupying my bedroom wall. rage on abc tv (australian public television) became too important to miss on friday and saturday nights. i could have, and probably did, see early you am i videos hundreds of times without ever growing tired. i also saw a lot more that sparked ideas and new tangents. on equal par with you am i at that time was pavement. singles from crooked rain and wowee zowee were being run repeatedly on triple j (another arm of public broadcasting). sarah and i still regret not going to the summersault festival that toured through adelaide in january 1996. the line-up included beastie boys, sonic youth, beck, pavement, bikini kill and the breeders. we talked about it, but the cost even then was too high for a couple of youths just out of high school. so the first age was characterised by discovering a heap of new music through magazines, tv, radio, friends and the webs that shot off the bands we liked. i started acquiring silver jews albums because of the link to pavement. 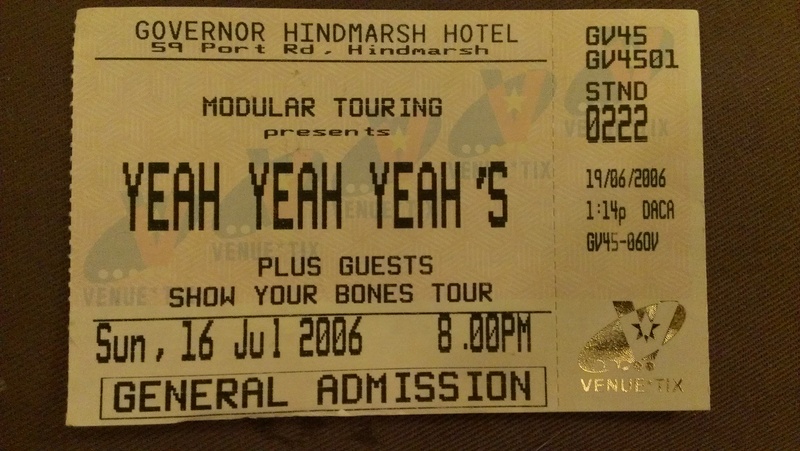 i loved a lot of australian music because the adelaide unis were bastions of shindigs – you’d go to a you am i show and get into the support acts, or there’d be equal billing of several different bands. the latter part of that period became about my personal pursuit of types of music that i’d never really heard because of my parents’ aversion to certain genres. i got a kind of guilty pleasure out of listening to palace music because of the twang that resembled country music. in addition to those above, notable discoveries during the uni period included cat power, dirty three, boxhead ensemble, built to spill and jon spencer blues explosion. it was all vivid, live, real, adrenaline driven. it belonged to us. it was made for us. we absorbed it with all our might. in my collection of music, at least, there was a seeming shift from quite youthful all out rock and roll type releases to something more serious around 2000. i started to appreciate music more critically and independently. a fine marker of that was the cat power performance we went to see in melbourne at the end of 1999 – the instability of the show was not taken as a failure, but as a remarkable feature of the act of performing. equally, the import of a release like i see a darkness by bonnie ‘prince’ billy could not be overestimated. by june 2000, i had inadvertently moved from adelaide to canberra having finished uni. i needed work and an income. it eventually arrived with some difficult terrain. this point was manifest in my random acquisition of elephant shoe by arab strap from one of the only independent record stores in canberra, landspeed records. i have already relived the importance this album had at that point in my life. the move necessarily resulted in a drop-off in live music across the board. canberra is far too small for most bands to bother including on a tour. 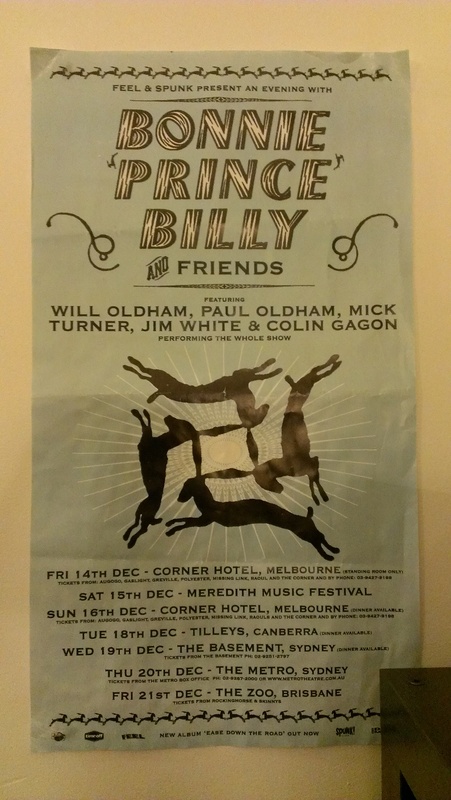 while there have, over time, been a few notable exceptions to that (like the best bonnie ‘prince’ billy lineup i ever encountered in 2001 at tilley’s devine cafe – where i ‘stole’ the poster below), the three-hour drive to sydney wasn’t desirable that often to see most bands. part of the seriousness came with the increasing appearance of political music, like the full early catalogue of constellation records. it was based on the continued web theory; expanding the collection through known avenues. i had read somewhere that will oldham had collaborated with godspeed you! black emperor, and that set off a long string of moody instrumental music. i also started absorbing a lot more pensive music; quiet, considered, thoughtful, heartaching. papa m showed up with whatever, mortal and the audio tour diary (one through six), as did iron & wine with the creek drank the cradle and our endless numbered days. but by far the greatest change to how i perceived and used music was my first relationship over 2003 to 2004. it was the first time i had actually fallen in love with someone. it gave new meaning to music i had loved for a long time, and in music that was being released at the time. it was also another transitional point in life, when i moved back to adelaide for work. it was the first time i truly lived on my own. 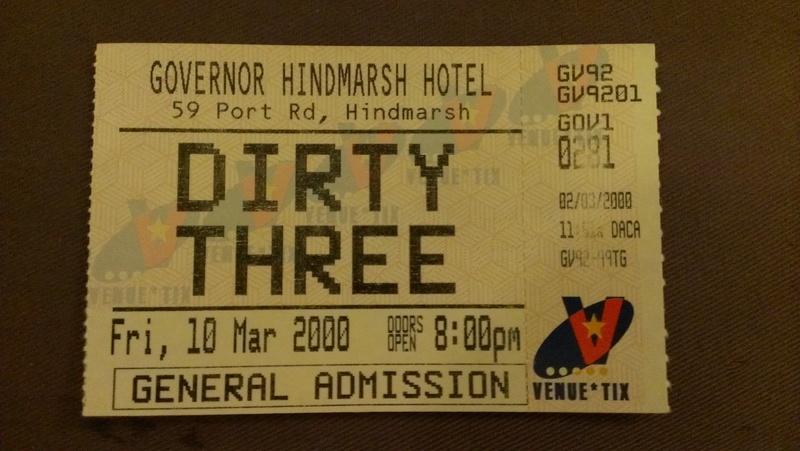 fittingly, the second age brought with it a large number of dirty three and will oldham gigs across the years. there would have been at least three performances each in that period. with it, the two releases from will oldham that, for me, were his pinnacles – superwolf with matt sweeney and the letting go (both of which have already appeared here). when it came to my second relationship, also in that period, i attempted to use both those bands to hold onto the only person i regret losing – once by telling him that i listened to ocean songs in the dark while i thought of him; and again when i took him to sydney to see will et al perform at the newtown rsl club. it didn’t work. that was the end of the second age in the middle of 2006.
whether it had anything to do with losing that guy, and finding it difficult to want to be in a relationship with anyone else, i can’t be sure. but my consumption of music since 2006 has been remarkably different to the two ages that preceded it. the final mark of the second age was attempting to track down the louisville is for lovers 2003 compilation for the one song that ‘told’ him how i felt. i started that search late in 2006.
i haven’t yet concluded what caused me to pursue bands that i’d read and heard a lot about, but had previously ignored. the best example of this was finally giving into the fanfare surrounding yeah yeah yeahs. i bought the albums, i saw the show. but others included tv on the radio, pony up and los campesinos. perhaps music that belongs to the next generation. it wasn’t all bad. because of the louisville connection and the ensuing international cd swap over 2008-2010, i heard and loved music that i would never have otherwise known. this will be subject to a separate entry under bigger things about the people who have influenced me. and of this period, there are new discoveries that i will never regret, like the full back catalogue of jason molina in all his guises, kim salmon related entities, as well as ted leo and the pharmacists and cass mccombs.